We Have a Plethora of Options Available! With seasons changing in Austin, it’s about time to start that overdue remodel project or work on your landscaping. All you have to do is fill your container and call us once you are finished. 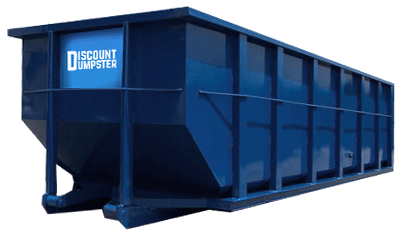 Discount Dumpster takes the hassle out of transferring that heavy load, so long as it’s below the allotted weight limit. 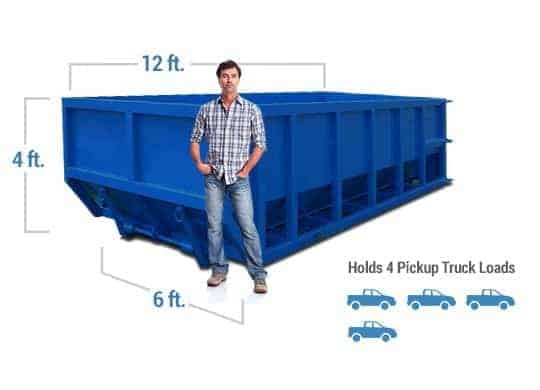 We offer a variety of bins that can hold up to 8,000 pounds of debris. It would make no sense to continue searching for the best waste disposal service. It is right at your fingertips in the form of a short phone call. Our customers are looking to clean up their work location fast and efficiently. With one of our dumpsters you can have that work site cleared of clutter on your own schedule. Call our customer service team and we will promptly pick up your bin once you are finished. There is no need to continue wasting your time and money on waste disposal. The 10 yard container is ideal for light remodels. Its small size allows for the roll off to fit virtually anywhere. The 10 yard allows you to hold scrap wallpaper with ease. Slightly bulkier than the 10 yard bin, the 20 yard is typical for bathroom or kitchen demolitions. The 20 yard size allows it to maintain unwanted metal and debris easily. Its low height allows for easy discarding of broken wood. Smaller than the 40 yard, the 30 yard is often rented for home demolitions. Its relatively modest size allows the receptacle to hold construction material with ease. With 30 cubic yards of space, it is the best choice for large-scale retrofits. Our 40 yard bin is typical for contractors undertaking blueprint projects. You can remove 5 tons of debris with this bin. It is best suited for large scale construction projects that produce bulky waste material. Which items are acceptable for transfer? Discount Dumpster accepts most residential and commercial construction garbage. We cannot transfer hazardous or flammable items, take a look at our prohibited items list. Do I have to be on site for delivery? You don’t have to be on site for delivery or pickup. Let us know when you are finished and our drivers will promptly pick up your container. Our company has been in the waste removal industry since 2005. Since then we have built steady clientele, as well as a supreme customer service staff. Our services have been what other companies look to establish in their business plans. We have low flat rates that can’t compete, and we consistently rent thousands of dumpsters throughout the country. Call today so we can prove to you why we are the best waste disposal source in the area. Discount Dumpster prides itself on providing high value at low prices. Our dumpsters come in a variety of sizes to cater to any project cleanup. You might need a 10 yard bin to remove some piping accumulated from a bathroom addition. Perhaps a 40 yard to remove tonnage from an apartment demolition. We have the roll off you need. So call right now before they’re all gone! It’s up to the customer to make sure their permit is secure. Take a look at Cedar Park’s permitting information to determine whether your placement requires permitting. It’s also wise to check with your homeowners’ association to make sure there aren’t any limitations on dumpster placement. Unsure if you need to get a permit prior to renting? Give our team a call and we will walk you through the process. If planning to put the container on your personal property there is no need to look into a permit. Skip the whole process and place it on the driveway. Drivers will place it right where you want it and there is no worries with hurting the concrete!